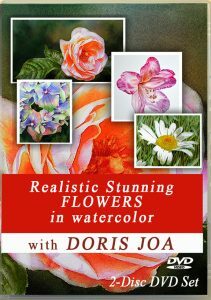 To paint with watercolors is just fun, pure pleasure and an absolutely passion. 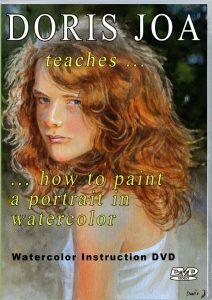 How to watercolor? Where to start? What to do first? When I want to start a painting I usually don’t need to search for inspiration because I only need to look around me. If it is a smile on a childrens face or the innocence in the youth or the folds in a face or if it is a sun glittering on a flowers petal or on the leaves. Then I know immediately what I want to paint because my heart begins to sing. It is just a special feeling which is hard to describe. So how to watercolor this special subject? I often have my camera with me and I cannot resist to make photos over photos in gardens from roses and flowers, from people, from water, from cats, from all what I love. When I then look through my photos I always get the same feeling – my heart starts to sing and I know what I want to do. It is rarely that one photo is perfect for a painting and there are photos which still should only be photos. 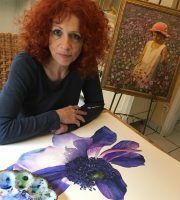 In our watercolor paintings we want to awake emotions and we want that people fell in love with our artwork. We want that the viewers of our artwork feel the magic and when this happens then we have reached our goal. For me the answer lays in the colours which we use, the cool and warm colours and also in lights and darks. A painting without lights and darks without cool and warm areas look flat. When you maybe look at a painting of a flower which is placed in a garden and when you see this tiny light spot shining through all the dark leaves – aren’t you curious then? Don’t you want to bring your nose very close to the painting because you want to see what is it – what is glittering there? Because you feel the depth and atmosphere of the painting and you know the garden doesn’t end in the frame. This can be acchieved with warm and cool colours in your background, this also can be acchieved with lights and darks, sunshine and shadow. Don’t you feel the hot day when you look at a subject which is bathed in sunshine? 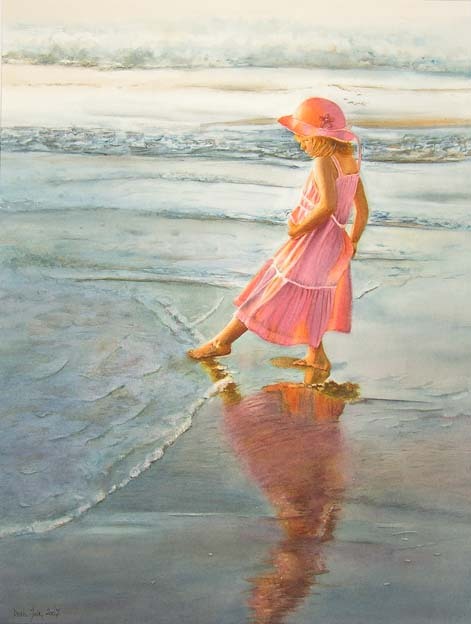 Don’t you feel the water at your feet when you see a little girl walking at the sea? 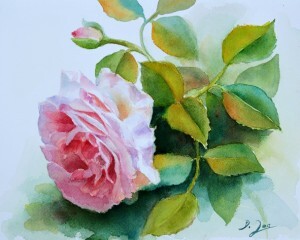 And don’t you get memories back when you look at a painting of maybe a special rose which your mother loved the most or at a painting of a child and you just remember how it was when your children were in the same age? So how to paint emotions? How can we achieve this feelings, how can we bring the magic in our paintings, how can we bring back memories to the viewers? And most important: how to paint OUR message in our paintings. The inspiration is everywhere. Just open your eyes and look around you. If possible make sketches or take photos and write notes down to remember what catched you, what you liked the most and information about the colour. I chose my reference images very carefully and put them in photoshop to create my own composition. When this is done I choose the format for my painting, start with the drawing and then comes the fun part: painting! 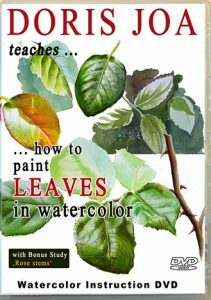 Use a good brush and good paper and use good artist’s watercolours to paint your message. Create dancing shadows, colourful lights, vary your colours. Don’t concentrate on the technique, just concentrate on your painting. 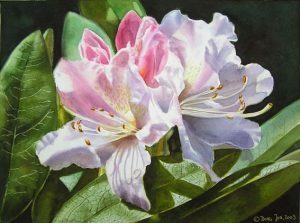 Emphasize those parts in your paintings which are important for you. When you write a letter then you make words bold or italic, you underline them or you make them bigger in size. When you talk to someone you will become loud and maybe use your hands and gestures when it comes to those words which you want to be heard well. 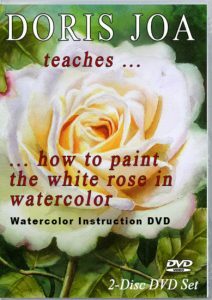 But when you paint you will use your brush and your colours to emphasize your message. Use bright and clean colours for those areas which should come forward, use hard edges for your center of interest, use bold brushstrokes, use strong contrast, paint close ups, use complimentary colours … You have a lot of tools for creating your message in your painting. 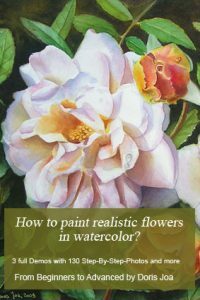 How to paint emotions with the common watercolor techniques? You apply your wet paint on the dry paper. Now you have much more control but you must be aware about hard edges. Immediately use a moist brush and soften your edges. 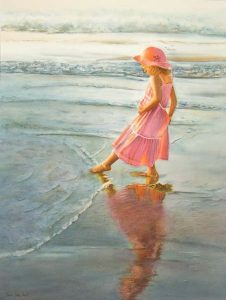 Beautiful painting. I love the reflection of the girl in the water.